Seal and the Song "A Change is Gonna Come"
When we found out that Seal was one of the performers for “America’s Song,” we were reminded of Seal’s stunning performance of another song. Performed on several late night talk shows, Seal‘s video performance of “A Change is Gonna Come“ is extremely moving and speaks to his versatility as a performer. The album is currently ranking in the top ten best-sellers on Amazon, and in the top 100 best-selling albums on iTunes. 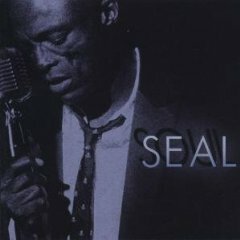 Some of the songs on Seal’s very emotional album are re-inventions of timeless songs, like the song “A Change is Gonna Come.” This song was originally performed by Sam Cooke, and while we’d love to write about it, we were very moved by the review posted on Amazon.com, and we’d like to quote part of it here. Almost forty-five years ago, we wonder if Sam Cooke knew that Rolling Stone was going to nominate him as the fourth greatest singer of all time. If you love music history, you’ll enjoy reading the Rolling Stone article about Sam Cooke, because Van Morrison was the artist to write about him. We invite you listen to this breathtaking album called “Soul,” some of his music is available legally and for free through Seal on Last.fm. If you’re interested in playing the sheet music for A Change is Gonna Come, we have it for piano, vocals and guitar. For more about Seal, visit the official Seal website and find out what this talented performer is up to.